According to the Florida Department of Highway Safety and Motor Vehicles, thousands of cyclists are injured every year on Florida roadways. All it takes is one distracted driver looking at a text message, and the consequences could be dire. 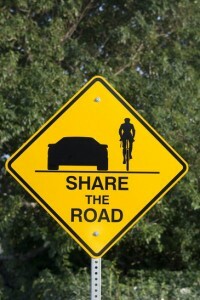 Motorists and cyclists need to work together and share the road responsibly. If you are involved in a cyclist accident, you should contact an accident lawyer to review your options. Be aware of your surroundings. Motorists may not see you, so it is important that you see them. Always wear a helmet and make sure it is properly fitted and secured to your head. Consider wearing brightly colored clothing or reflective tape to make yourself more visible to motorists. Cycle in designated bicycle paths where available. Pay attention, don’t look at texts or emails while driving. Those few seconds are all it takes for a tragedy to occur. If you see cyclists, reduce your speed and give them some room. Involved or Injured in a Cycling Accident? The Law Offices of Kerri C. Smith, P.A. covers a wide variety of cases. If you were injured due to a bicycle accident, contact our personal injury attorney today to learn about your rights. The information on this website is for general information purposes only and is not intended to create an attorney-client relationship. Nothing on this site should be construed as legal advice for any individual case or situation.